You must make reservations at least 5 minutes in advance of the time at Succotash - National Harbor. Garage and street parking are available throughout National Harbor and in close proximity to the restaurant. National Harbor offers a courtesy shuttle between King Street Metro Station and National Harbor. Please contact us for any events and catering inquiries at Events@kneadhd.com . 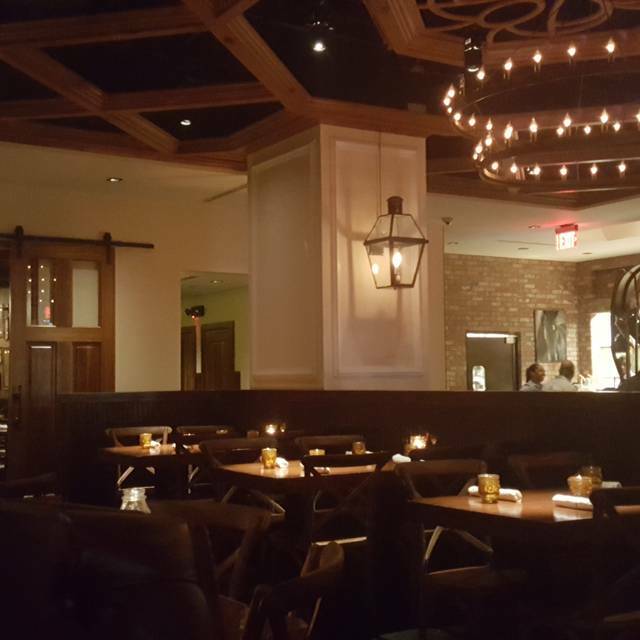 SUCCOTASH National Harbor offers a selection of private and semi private dining options. Our private dining room "The Barrel Room" can accommodate groups up to 35 guests while our semi private interior and exterior dining areas offer ample room for parties of 200 or more guests. For more information please contact our Events Director, Kaye Newsome at Kaye@kneadhd.com. Went with a group of 4 to celebrate an anniversary. We ordered the Family Style dinner. I highly recommend this option, even if you are going as a pair. It’s pricier than the a la carte menu, but worth it, especially considering the variety of food you get. You are essentially tasting the menu. Everything was delicious — the wings, the ribs, the fried chicken, the fish. 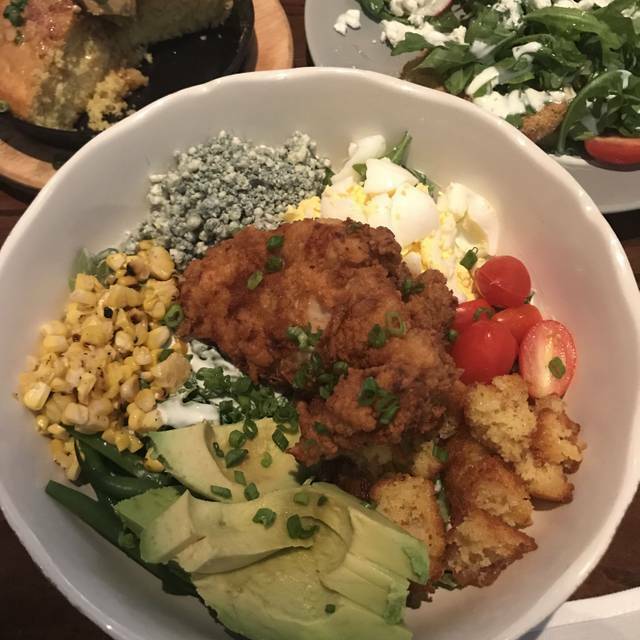 We were celebrating Easter with brunch at Succotash and we're not disappointed. 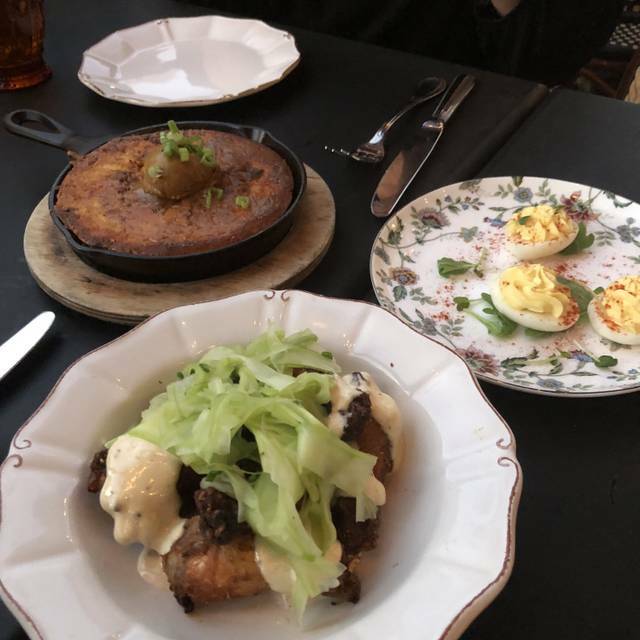 We ordered the family style brunch, as well as the Pimento Cheese Fundido. It was excellent! We would give the dishes in the family style selection mixed results. Pecan sticky buns we're decadent without being cloyingly sweet. Unfortunately, my Brother-in-law is deathly allergic to nuts. The fried green tomato salad was delish. I would definitely order it again. The chicken and waffles we're also quite good. The disappointing item was the biscuits and sausage gravy. Just ok, biscuits we're sort of mushy. 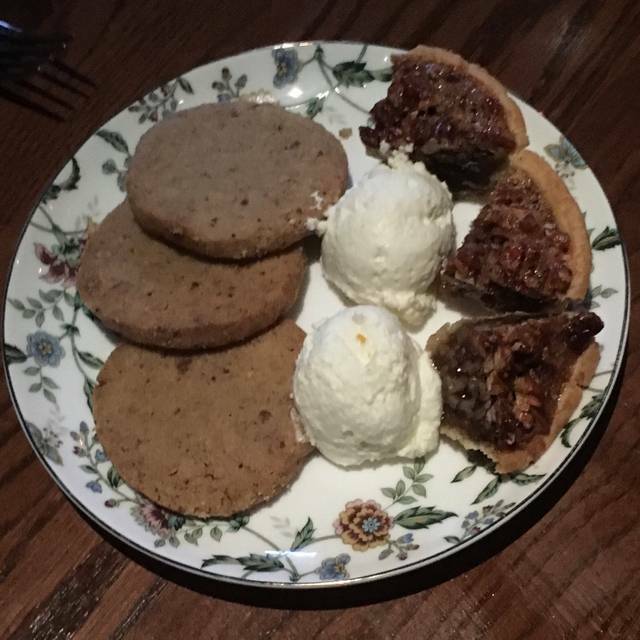 Dessert was divine pecan Sandy cookies... Except, the aforementioned nut allergy. I have to say though, the star of the show was our waiter. He was great. We all said we would return. My wife and I ate there for our anniversary. Our reservation was for 7:30, but due to heavy traffic around the National Harbor and nearly full parking lots, we didn’t arrive until after 7:45. That was not a problem and we were immediately seated. Everyone was courteous and friendly. 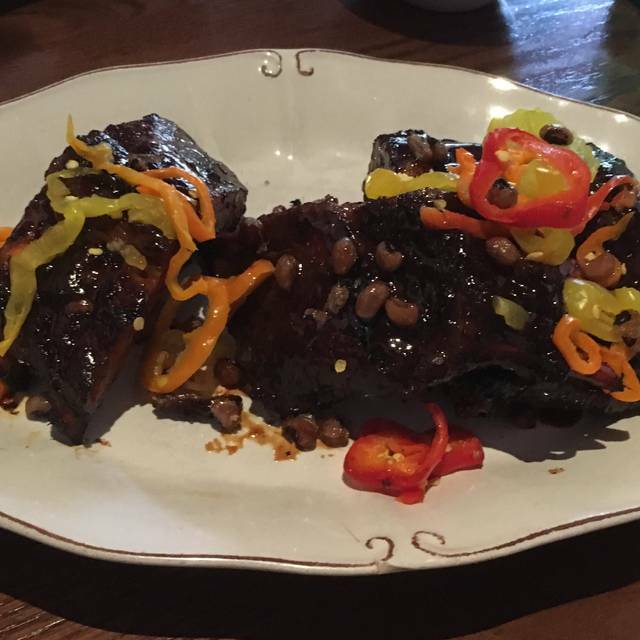 We ordered the Taste of the South entree, and the servers explained each dish as it was brought to our table. They allowed ample time to complete one course before bring out the next. At the end of the meal, they gave us complimentary glasses of champagne in honor of our anniversary. We will definitely be going back. The Pimiento Cheese burger is unbelievably delicious! One of our favorites in National Harbor. This visit was to reunite with a friend that I haven't seen in almost 20 years, who self-identifies as a 'foodie' - and she loved it! Went to Succotash for a second weekend in a row for brunch. The service was very attentive and our server was really nice and polite. We ordered food and it came within a few minuted. My mom loved the coffee and by the end of the meal, everything was finished (which is always a good sign). French toast: our favorite item item. I just wish they could have more lemon curd on the side but otherwise it was perf. Shrimp and grits: Our second favorite item. So creamy and comforting. Succotash curry: perfect side to go with the shrimp and grits. Deviled eggs: your run of the mill average deviled eggs. Nothing special. Lobster egg benedict: the lobster was really good. I tasted some from my brother who liked his dish. 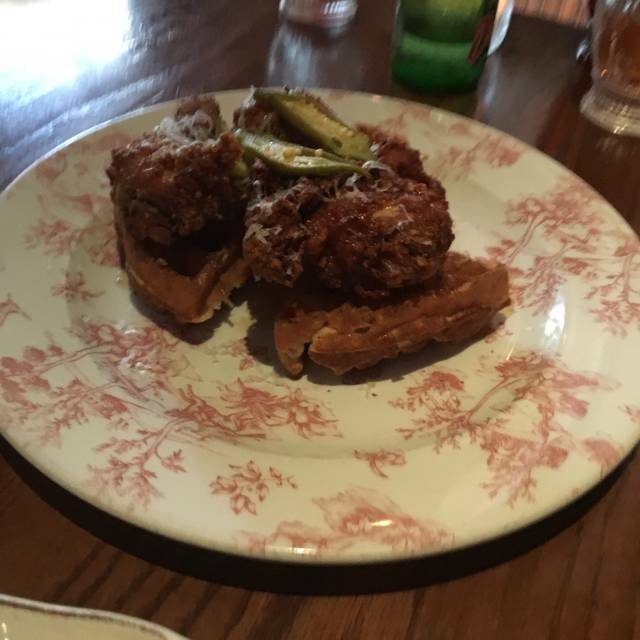 Chicken and waffles: really average waffles. We liked the chicken but the waffles were soggy and forgettable. Overall the dish was just OK. The service was better than last time. The good was poor. Brunch steak and eggs has increased price significantly and my ribeye was all fat🙃. Shrimp and grits recipe was changed and it’s bad. Server said it’s changing back in a couple of weeks. Overall disappointed. We’ve been there multiple times before and usually the food is good. Very good food and atmosphere. Though, do not like male/female co-ed bathrooms. Food was delicious as always. Im a huge fan of the chicken n waffles, so thats my go-to dish. The asparagus was awesome as well!! I will be visiting them again soon. Great atmosphere! I love the location. Food is really good. Catfish and Trout is what I had this go around. The smoked wings are delicious! Great food, really cool vibe! Highly recommended. Waitstaff was accommodating, informative, and double checked before recommending dishes, as one of our guests had to be gluten free. The curry succotash was delicious, as was the cauliflower cream soup, green fried tomato salad, trout, and salmon. Too bad there is no gf dessert, but we were so full from the delicious meal, that perhaps it was a good thing that there was no gf dessert option. Great food. A little expensive but would come back again for a meal. Overall experience was good, though the reception we received from the hostesses had me concerned. We arrived early (4:30) on a Saturday and asked to be seated before the rest of our party arrived. Even though the restaurant was only half full, the hostesses told us we had to wait as it was “policy”. We were finally seated and the initially server was a distant. Finally our actual server Alex arrived and everything changed. He immediately could tell that we hadn’t been welcomed and extended himself in every way to apologize and take care of us. From that point on we had a great time, the food was delicious, and our time was wonderful. The food was delicious. Not the most filling, especially at the price. It can be difficult at time to catch the attention of the servers but all of the staff is very accommodating. Enjoyed french toast for brunch. Friendly service! Fun ambiance. Succotash was very good. Saturday Brunches in this area are busy and even with a reservation we had to wait a few minutes for our table. Once we sat down Justin came over with our water and took our beverage orders. Jessica soon followed up to take our app, food orders, making suggestions. 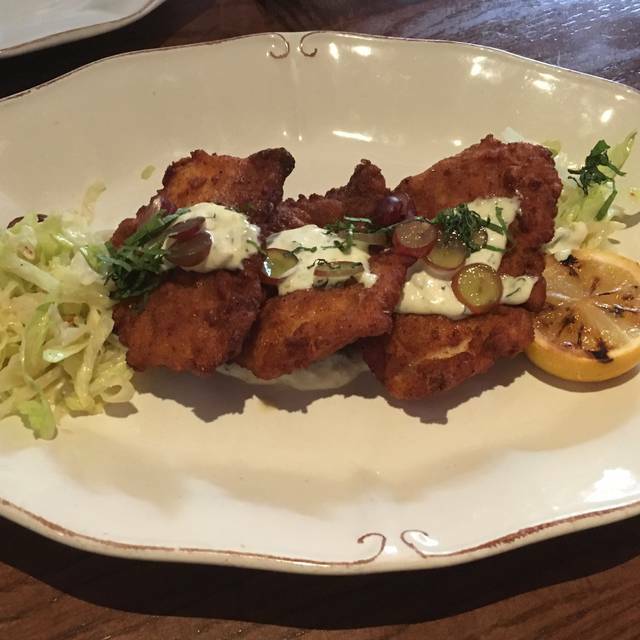 I would and have already recommended Justin and Jessica for folks coming to dine at Succotash. Enjoyed our dinner very much. 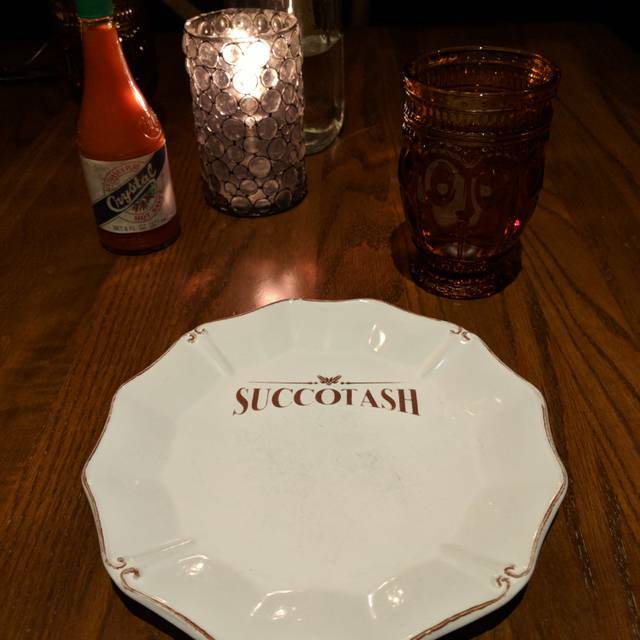 This was our first time eating at Succotash even though we have eaten at the Harbor a number of times. It was OpenTable that bought it to my attention. The dishes are mostly southern in style and tradition. Tasty, beautiful and served timely our date was enhanced by our server, Nates recommendations. Besides parking and the noise level we enjoyed the experience and will return. We had a great waiter but, UNfortunately, the food wasn’t as good as it has been in the past—especially with the smoked chicken wings. They tasted old & stale. I’ve been here several times, so hopefully this recent visit was just a hiccup. It is unfortunate because my friend visiting from out of town was with me, so this was likely the only time she’ll visit this place. Oh well. I was at a conference and had an early dinner reservation on Fri, Apr 5th at 5:15pm. I arrived a bit early, around 5pm, and asked to be seated while I waited for my friend. I had work to do, and was really just hoping to get 15 mins in before dinner. The hostess looked like she was considering whether to seat me or not, and said I couldn't be seated until my party arrived. I explained that I was only 15 minutes early and I'd really like to be seated. She refused. I should also mention that this restaurant was almost a ghost town at this time. There were three open booths in my immediate line of sight, a huge rectangular table near the bar with 8 open seats, as well as an additional 5 open seats at the bar. Also, this was just in the first third of the restaurant! I waited on the bench near the front door for a couple of minutes, and then sat myself at the large, open, rectangular table near the bar (with 8 open seats). The hostess saw me, while not doing anything else, and walked over to me and ordered me to get up from this empty seat. I said there's no one even here, and it's only 10 mins from my reservation. She insisted that I get up and sit on the bench by the front door again. Only at 5:17, did I have to, again, ask to be seated, for her to say "hold on a sec", while she retreated across the restaurant, into the kitchen for a few minutes, until she came back up to the hostess stand with a gentleman beside her. Then, and only then, did she allow me to be seated. I don't think I really need to mention this, but I found this experience humiliating and incredibly disturbing. In honor of being as objective as I can, I will say that the food was excellent. However, this whole experience was so incredibly bad, that it completely ruined the entire dining experience. I also want to say that I'm a huge foodie and I've dined everywhere from very fine dining, to casual restaurants. Never - Never, in my experience, has a restaurant behaved like this. Service was good for a busy Friday evening. The food was good, but one order, the burger, was sent back because it was made rare. Turns out it was mixed up with another table’s order. The manager explained and apologized. The delta bowl (a vegetarian option) wasn’t impressive. Other than those issues, the food was decent. Server was very knowledgeable of the menu, offered suggestions for dietary concerns (e.g., served simple sugar on the side for my peach tea), and was super friendly. Enjoyed the food and my visit with a friend. Great food and service. Easy to get to, and lots of parking options. Dining with friends prior to a business conference. Everyone was thrilled with the menu, including the serious foodies. Probably busier than typical on a Weds night, so drink service was slow, but not problematically slow. We were in town for a convention and had an amazing meal last year so we decided to go back. The waiter Nathan was awesome. My only complaints would be the soup was cold and the gas lights had a heavy gas smell that was not terrible but constant. Love this place!! I attended a conference in national harbor every year and I always go to this restaurant.. the food is amazing and the service is wonderful!! Loved every minute of the experience. The catfish was the best I’ve had in years. The Nashville hot fried oysters were fantastic. Cheesy grits were just like I was back home. Food was delicious, staff was friendly and efficient. I was so relieved we picked the right restaurant for our short trip! 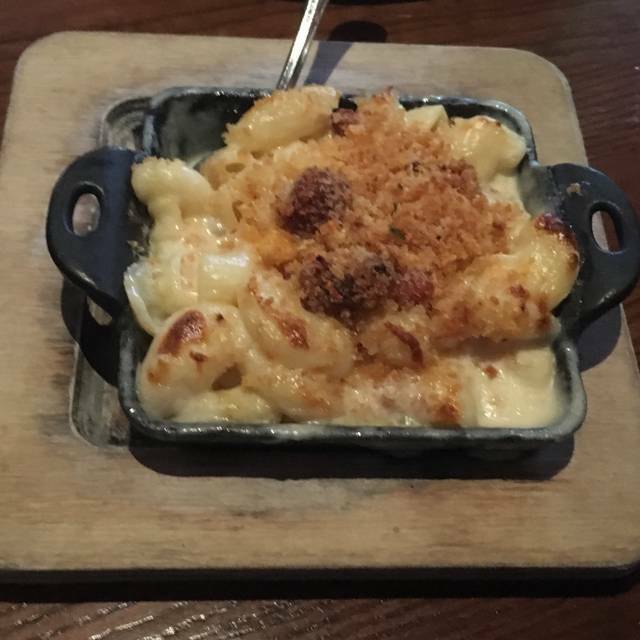 Ate there last year and enjoyed the meal so much that we returned to eat again and were not disappointed. Excellent dishes shrimp and grits and the dirty fried chicken. Both were just the right amount for dinner. Thank you for your insightful feedback. We will be sure to share it with our team and use it as a learning opportunity to improve the guest experience. We’ve been to the Harbor area several times but always went across the street to a different restaurant . This year we decided to try someplace different because my wife’s diet is different because of being pregnant . This was our first time and most defiantly, not the last. Ever dish was excellent . Our waitress was great and helpful. This place is a must when visiting the harbor . Brunch was great! We had the devil eggs and oysters as a starter and both were flavorful. The shrimp & grits was a choice for the main entree. My wife had order the hangover special and the potato salad and pulled pork combo melted in my mouth when I tried it. I would definitely come back here for brunch again.